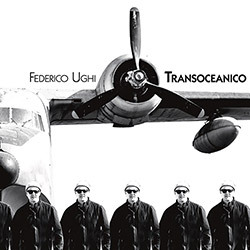 "Transoceanico" signifies the global reach of Rome, Italy-born improvising drummer Federico Ughi, celebrating 20 years since his first album recorded in London while residing there, leading to his current Brooklyn launchpad for many global tours and albums, this impressive LP realized in a superb free jazz trio with bassist Adam Lane and tenor saxophonist Rachel Musson. 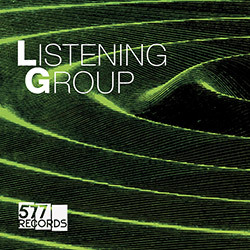 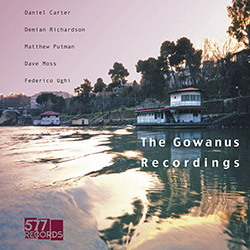 Recorded on the last night of 577's Forward Festival 2017 in Brooklyn, the quintet of Daniel Carter (reeds & trumpet), Patrick Holmes (clarinet), Matthew Putman (piano), Hilliard Greene (bass) and Federico Ughi (drums) take their audience on three remarkable journeys of almost chamber-oriented collective free jazz, adventurous and not-to-be-missed examples of modern jazz. 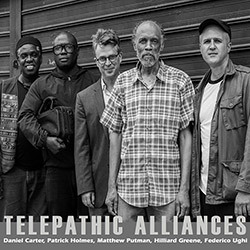 A live performance at Forward Festival 2016, in Brooklyn, NY, merging chamber music, free improvisation, free and avant jazz and other forms in a an ensemble with Daniel Carter (sax & trumpet), Claire de Brunner (bassoon), Patrick Holmes (clarinet), Nick Lyons (sax), Jeff Snyder (electronics), Stelios Mihas (guitar), Jonah Rosenberg (piano), Zach Swanson (bass), and Federico Ughi (drums). 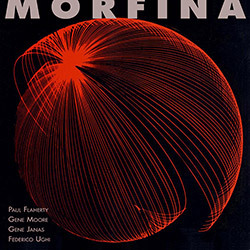 First conceived during the 2016 Forward Festival when noise guitarist Gene Moore and NYC experimental bassist Gene Janas invited noted avant-garde drummer Federico Ughi for the second part of their set, the results being so impressive that they asked saxophonist Paul Flaherty to join them to record this album and to perform at the Forward Festival 2017. 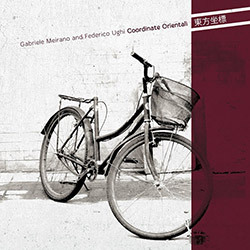 A duo between two Italian born improvisers--New York based drummer and 577 Label leader Federico Ughi, and pianist Gabriele Meirano, active in the London jazz club scene for more than a decade--for an album of insightful free jazz in a dialog that shows both thoughtful and challenging moments in an open-minded, ultimately lyrical conversation between two like-minded players. 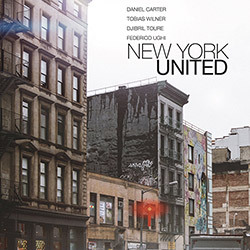 New York drummer Federico Ughi in a band with long time collaborator David Schnug on sax, Mike Irwin on trumpet, and Jeff Snyder on electronics, more of a creative jazz album than electric, with Leila Adu on vocals and Zach Swanson on bass on 2 tracks each; informed, intelligent and lyrical free improvisation from a tight-knit group of superb players. 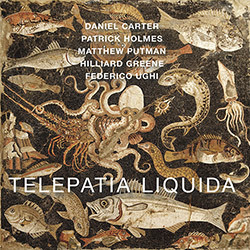 A unique collective jazz album drawing on science and math in 5 improvised works from the New York quintet of Daniel Carter on alto & tenor sax, clarinet and trumpet, Demian Richardson on trumpet, Matthew Putman on piano, Dave Moss on upright bass, and Federico Ughi on drums, in a limited edition LP with a download code; superlative playing in rich layers of interaction. 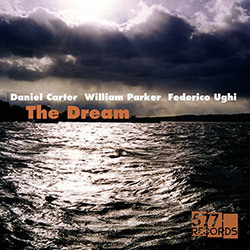 This album was developed to present Daniel Carter, typically a wind/reed/trumpeter player, on an album that included his piano playing, which then advanced by adding the goal of both Carter and long-time collaborator, drummer Federico Ughi, to record with bassist William Parker, who rounds out this excellent trio on bass, tuba and shakuhachi. 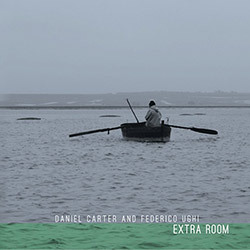 Recording in Brooklyn, the quintet of Daniel Carter on alto, soprano & tenor saxophones, Patrick Holmes on clarinet, Matthew Putman on piano, Hilliard Greene on bass, and Federico Ughi on drums bring together players of a very different backgrounds who share a nearly telepathic level of communication through free improv, in an album graced with Carter's poetry. 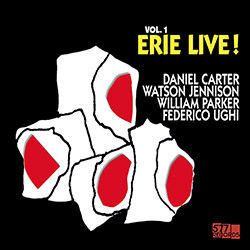 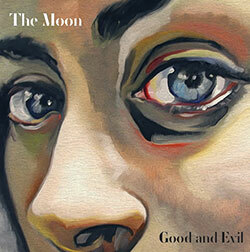 The studio debut of drummer Federico Ughi and electric guitarist Adam Caine's project The Moon, a touring band crossing jazz based free improvisation with rock elements in free-flowing and driving music highlight the technical and melodic skills of both players. 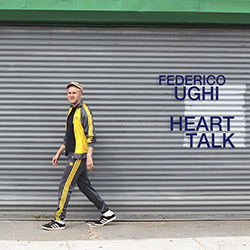 Following Ornette Coleman's 2 horn, bass & drum lineup, Italian/NY drummer Federico Ughi leads his quartet with David Schung (sax), Kirk Knuffke (cornet) & Max Johnson (bass) through 10 Coleman-inspired works of melodic free playing, excellent works of modern jazz. 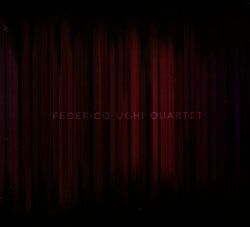 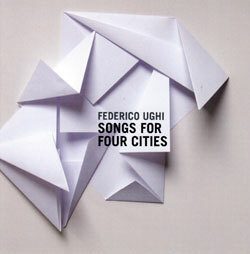 A collection of compositions from drummer/composer Federico Ughi dedicated to the four cities where he's lived: Rome, London, Montreal and New York, performed in a quartet with Darius Jones (sax), Eri Yamamoto (piano) and Ed Schuller (bass).